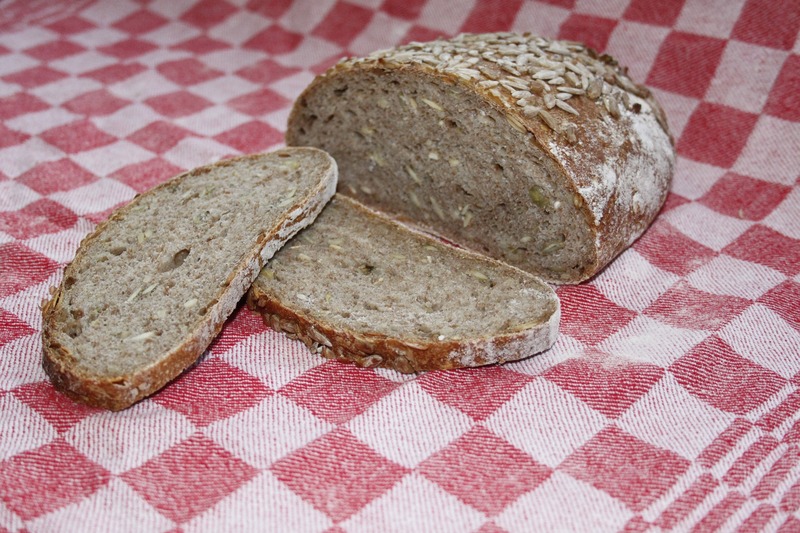 500g strong all purpose (plain) white flour (or 50% mix of wholemeal and white), unbleached bakers flour works well. change the amounts to suite your needs. 1. Add the water to the sourdough starter, mix in thoroughly. Mix the salt through the flour. Combine all the ingredients together to form a rough dough. Rest for 15 minutes. 3. When kneading, do not worry if the dough is slightly wet or sticky, use wet or oiled hands to help. Resist the temptation to add any extra flour or water. After 10 minutes return to the dough. Turn the dough out onto the work surface and knead for 5 minutes, return the dough to the mixing bowl and allow the dough to rest for a further 10 minutes. 4. The dough will need to be kneaded one more time. After the third time of kneading for 5 minutes, the dough should be smooth and elastic. 5. Return the dough to the mixing bowl, cover with cling film and allow the dough to prove for 2-4 hours at room temperature. This should have some spring in the dough. 6. After 4 hours turn the dough onto a clean work surface and knock the dough back, (knocking back the dough simple involves knocking the air from the dough and equalising the temperature within the dough). 7. Form the dough into a tight round ball. Prepare a proving basket by lightly dusting with flour, alternatively if you do not have a proving basket line a 2.5L round pyrex dish with a clean tea towel and dust with flour. Place the dough seamed side facing up into the proving basket or Pyrex dish. Prepare the lid of the pyrex dish by greasing and dusting with flour, this will prevent the dough from sticking to the lid later. Cover the Pyrex dish with a lid and place into the fridge and leave overnight. 8. The next morning preheat your oven to 250C. 9. Remove the Pyrex dish containing your dough from the fridge to allow to come to room temperature. Flip the Pyrex dish over. Remove the tea towel. 11. The dough will need to be baked at 250C for 50 minutes. After 30 minutes remove the lid from the Pyrex dish and continue to bake for a further 20 minutes at 220C. 12. 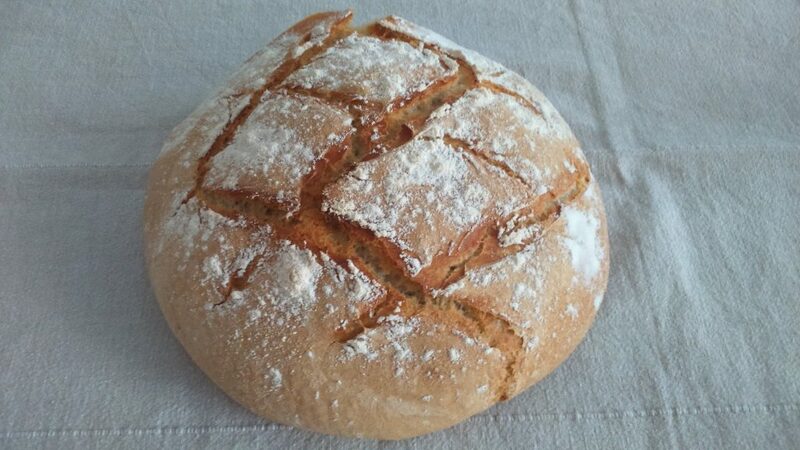 Once baked remove the bread from the Pyrex dish and allow to cool before slicing. Enjoy! 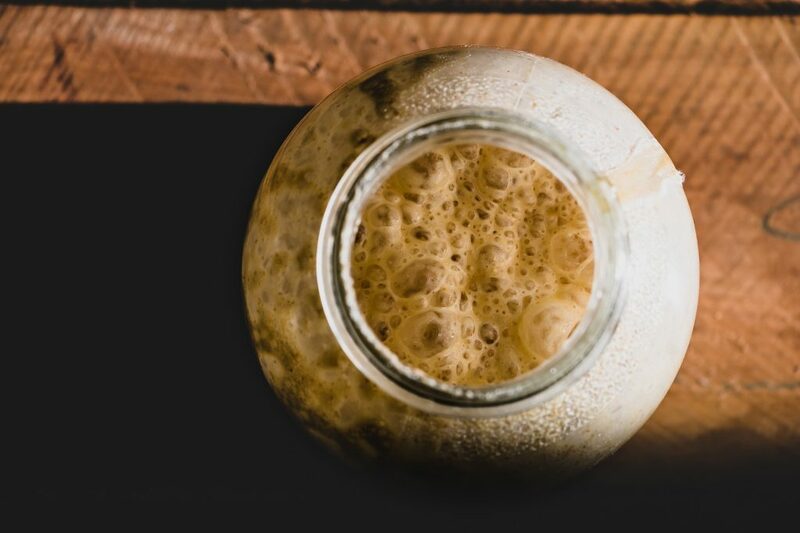 See here for your Sourdough Starter!